Oaks-What do Christians Believe about God? Article 14- Everyone has the right to a religion. Today we looked at different ways Christians might describe God. 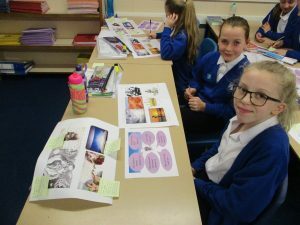 We looked at different works of art , discussing their depictions of God and used words like hero, leader, king and judge to describe what we saw. 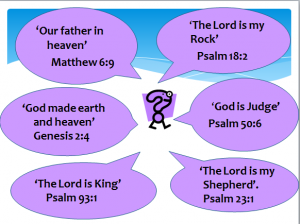 We then looked at quotes from the Bible which described God in different roles, for example a father and a shepherd. 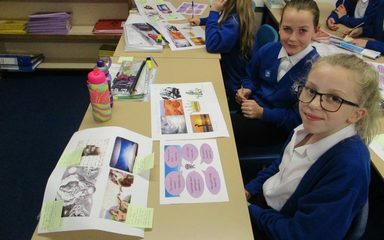 We then linked them to the images. After that we listened to the parable of the Lost Son and discussed how Jesus used this parable to explain that God is a father to everyone even if they do something wrong. The children showed real respect and sensitivity when completing this task. Well done Oaks.